* Variants are available; however please note that the IP rating will be affected. 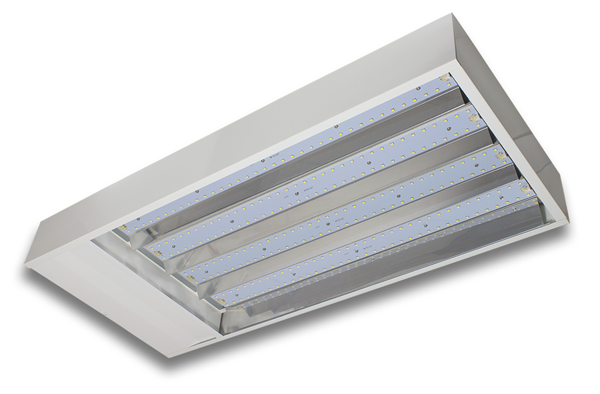 LOWBAY 120+ IP54 is a 120W IP54 rated LED Lowbay fitting with 95° beam angle and 5000K, 13840m light output. 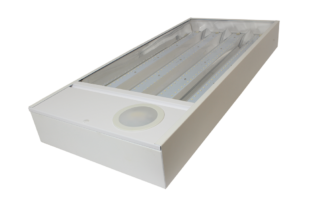 This IP54 Rated LED lowbay utilises high efficiency LED chips and reflector system to ensure the quoted light output, whilst also providing installs with up to 85% energy saving over conventional lowbay light fittings. 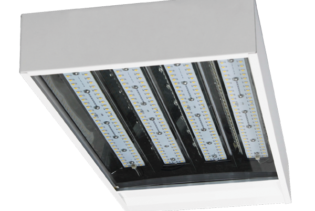 Along with instant start and flicker free operation these fittings can operate in temperatures from -20°C to +35°C, are easy to install, maintenance free and can have a lifetime in excess of 30,000hrs. Our LOWBAY 120+ IP54 120W 5000K 13840lm IP54 LED Lowbay fitting is ideally suited to a vast range of industrial applications, offering a realistic opportunity to reduce energy bills without reducing or sacrificing lighting performance. 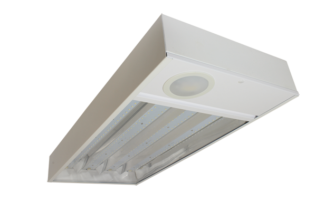 Because of the IP54 rating, and working temperature range of -20C to +35C LOWBAY 120+ IP54 is ideally suited to installations where protection from dust and moisture is a requirement; the PC transparent diffuser makes the fitting ideal for areas where accidental glass contamination may be an issue.